Keep up to date with everything happening relating to barber training and our courses. Apprenticeships are changing and here is what you need to know…. The old apprenticeship frameworks have been given a shake up and the new and improved apprenticeship standards have now been launched. The new standards have been developed by employer led groups called Trailblazers and are designed to develop apprentices skills and knowledge specific to their job role. 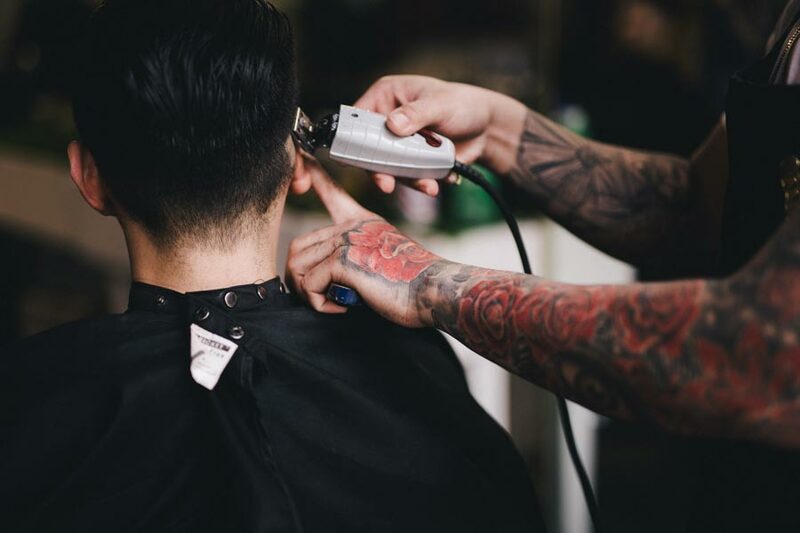 The new apprenticeship standards are a level 2 qualification but are set at a higher standard than the old frameworks and they include some skills and knowledge from the level 3 NVQ, including shaving. There has been major changes in the way the apprentices will be assessed. Gone are the days where your teacher will assess you throughout the qualification in your college, training centre or workplace. The new and improved assessment process will work similarly to a driving test where your instructor will teach you to drive and an independent examiner will conduct your test. In the new standards, the employer and training provider will provide the training and an Independent End Point Examiner will assess the skills, knowledge and behaviours through practical observations and oral questioning. The overall grade for the apprenticeship will be determined by the performance in the end point assessment which will be graded Pass/Distinction or Fail. From the 1st May 2017, the way apprenticeships are funded has changed. For smaller UK employers – with an annual payroll bill of under £3 million, employers will be required to make a 10% contribution to apprenticeship training and the government will fund the other 90%. The employer will need to agree a payment schedule with the training provider and this cost will include the cost of the end point assessment. The training provider must prove that the employer has paid their contribution as a condition of the government paying its contribution. All qualifications will remain completely government funded for apprentices ages 16-18. There will still be an age grant for employers who take on a 16-18 year old apprentice to meet the extra costs associated with employing a young apprentice as research suggests that 16-18 year old apprentices can require significantly more supervision and pastoral care. This will now be a £1000 payment to be paid to employers in two equal instalments at 3 months and 12 months into the apprenticeship. Colleges and training providers receive a lot of bad press for the lack of skills being taught and from what I’ve seen, this is mainly because a lot of the time it’s hairdressers teaching barbering. The new end point assessment will put a stop to this and ensure that only learners with competent skills and knowledge will pass this stage of the qualification by having Independent End Point Examiners with significant industry experience conducting the tests. Personally I am really glad of these new standards. I went to the initial interviews at VTCT to become an Independent End Point Examiner and was given further information about the process and it will definitely ensure a stricter training and assessment process – I will definitely be tightening the ship at my own academy. I need my students to pass first time, as a retest will be very expensive and embarrassing. This is a huge stride in the right direction for ensuring that we are raising the standards for our industry.